Since 2001, the Upper Iowa University (UIU) Recreation Center has been a safe and welcoming environment for UIU students and the Fayette community to improve their overall health and fitness. Over the past 15 years, the Recreation Center has built a sense of community and provides support for healthy living. 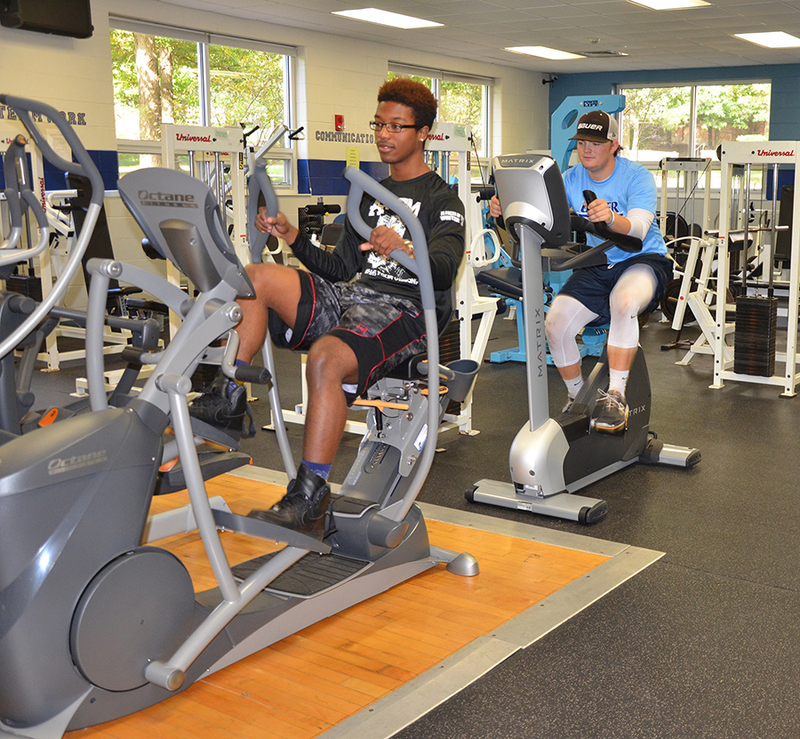 Cushion explained that the recreation center’s fitness room now has 13 cardiovascular machines including four treadmills, four elliptical machines, a recumbent elliptical, two bicycles, a rowing machine and a stair climber. These new machines accompany the 16 weight machines, power rack, multi-functional cable machine and the free weight area that the recreation center already had in place. The fitness room is also equipped with a stereo and televisions for members to enjoy while working out. The group fitness room offers a variety of classes for all skills levels that focus on cardiovascular fitness, strength training and combination classes. Classes include boot camp, yoga, water aerobics, TRX strength training, cardio-kickboxing and low impact. Classes are instructed by recreation center staff and trained UIU students. Personal training classes are also offered. The recreation center also features a multipurpose gym area that includes three basketball courts; volleyball, tennis and badminton nets; three ceiling suspended batting cages; and a lower and upper track. The swimming pool, located in the Edgar Fine Arts building, has four, 20-yard lanes that are used for swimming and recreation center water aerobics classes. The recreation center is hosting a membership drive through the month of October. With reduced rates for new and returning members, the special includes one month, three months, six months or annual memberships. Rates are based on whether it’s a single, couple, family, track-only or track-couple pass. “I invite everyone to make use of our convenient location, accommodating hours, and knowledgeable instructors and trainers,” said Cushion. The center is open Monday-Thursday from 6 a.m. to 10 p.m.; Friday from 6 a.m. to 8 p.m.; Saturdayfrom 7 a.m. to 5 p.m.; and Sunday from 1 p.m. to 9 p.m. For more information about the UIU Recreation Center or the membership drive, contact LeAnn Cushion at (563) 425-5370 or the recreation center at (563) 425-5669.